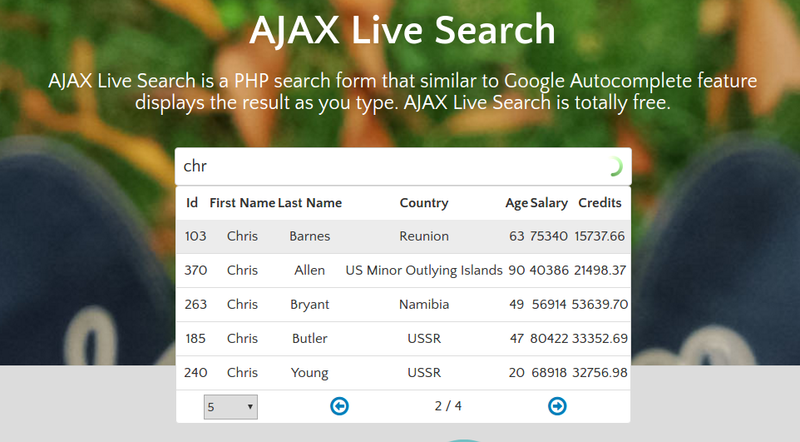 A live search is an enhanced search form that uses AJAX technology to deliver results or suggestions within the same view. This is different from a regular HTML input field that is given autocomplete powers from a modern browser like Chrome, Firefox or Safari. A live search is often an input field that has been programmed to load suggestions from a specific dataset. July 6th, 2017: This article was rewritten to update the list of plugins, and include some bonus, non-jQuery libraries. Before I proceed, I would like to point out that the term live search is a bit ambiguous. There’s no authoritative definition for that term. Other terms that are frequently used to mean the same thing are autocomplete and type ahead. I’ve come across a number of solutions labeled as live search which lack certain critical features. For this article, I’ll only shortlist live search solutions that fit the definition I’ve defined above. The first one on this list is a pretty amazing open-sourced, live search jQuery plugin. It is well documented and works perfectly in Chrome, Firefox, Safari, Opera, and IE8. The most impressive feature is that it can return results in the form of a paginated table! How cool is that? It’s amazingly minimal yet powerful. If you use the API settings option, you can do customizations such as grouping results into categories!. Semantic UI also comes in different flavors specifically built for React, Meteor, Ember, and Angular. Check out their integrations page for the full list. To learn more, visit the following links. This is a jQuery widget that is part of the jQuery UI library. The library itself is a curated set of user interface components, effects, and themes built on top of jQuery. EasyAutocomplete is a highly customizable jQuery autocomplete plugin with all the commonly required features. It supports local and remote data sets in JSON, XML, and plain text formats. It also supports callback handlers along with some default styling. 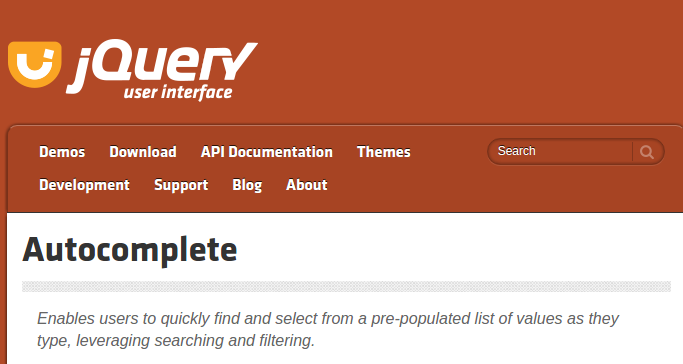 Pixabay.com, a free stock site, have an awesome open-source autocomplete jQuery plugin you can use for your project. Originally they were using DevBridge’s jQuery Autocomplete (no 4. in the list). Later they created a fork and started updating it to meet their own needs. Eventually, they did so much hacking into the original source code they ended up with their own ultra lightweight optimized plugin. This is a jQuery autocomplete plugin that was developed out of frustration for lack of reliable autocomplete plugins at the time. It features quality documentation, caching, memory selections, custom styling, callback handling, and WAI-ARIA support. It requires jQuery v1.4.3 or higher and supports all modern browsers (and even IE6!). This is a lightweight autocomplete jQuery plugin with local and remote data source support. It features accent folding. The jQuery Typeahead Search is an autocomplete plugin built with deep customization options. 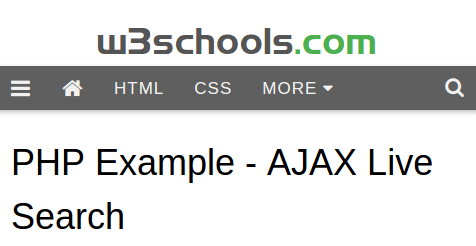 It works in all modern browsers from IE8+ and supports multiple internal and external AJAX callbacks. 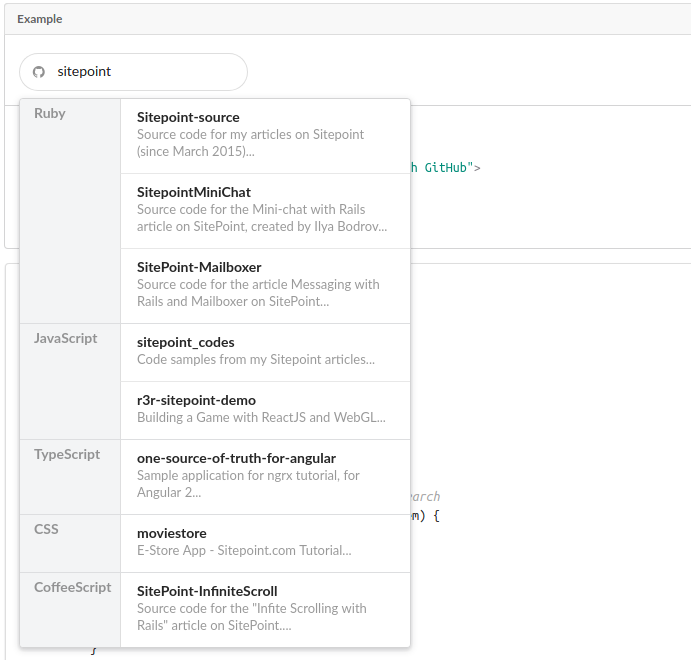 If you check out the demo page, you will find numerous examples of different code implementations. It supports all modern browsers from IE9 and is available as a jQuery plugin, an Angular directive and as a standalone library. Along with the usual features, it has security features such as protection against XSS attacks. If you are using both Angular and Bootstrap in your project, you should be using the ng-bootstrap framework. It has a Typeahead component that works just like a regular jQuery autocomplete plugin. Although the source documentation illustrates a solution using a local array for data source, you can easily swap that with a remote fetch call inside the onSuggestionsFetchRequested() function. The back-end used in this example is using a PHP server. Obviously, you can substitute this with a server technology of your choice. The code requires data in XML format. You can refactor the code to accept JSON formats too. The great thing about this solution is that it works with all modern browsers and older ones up to IE5! If you are using WordPress, you will be pleased to know you can implement live search with minimal to no coding at all. All you need is to install and set up a WordPress plugin with live search functionality. The most popular one is Dave’s WordPress Live Search currently with over 10,000 active installs. It is compatible with most themes, comes with several configurable options and is easy to integrate with minimum fuss. It also comes with a YouTube tutorial that demonstrates the entire set up process. I hope this list helps you choose a suitable live search solution for your project. Depending on your experience and project environment, some are easier to implement and customize than others. There are still other countless capable solutions I haven’t listed. Perhaps you can help by listing them in the comments below.